I had seen pictures of this before, but this fall was the first time I saw it in real life! 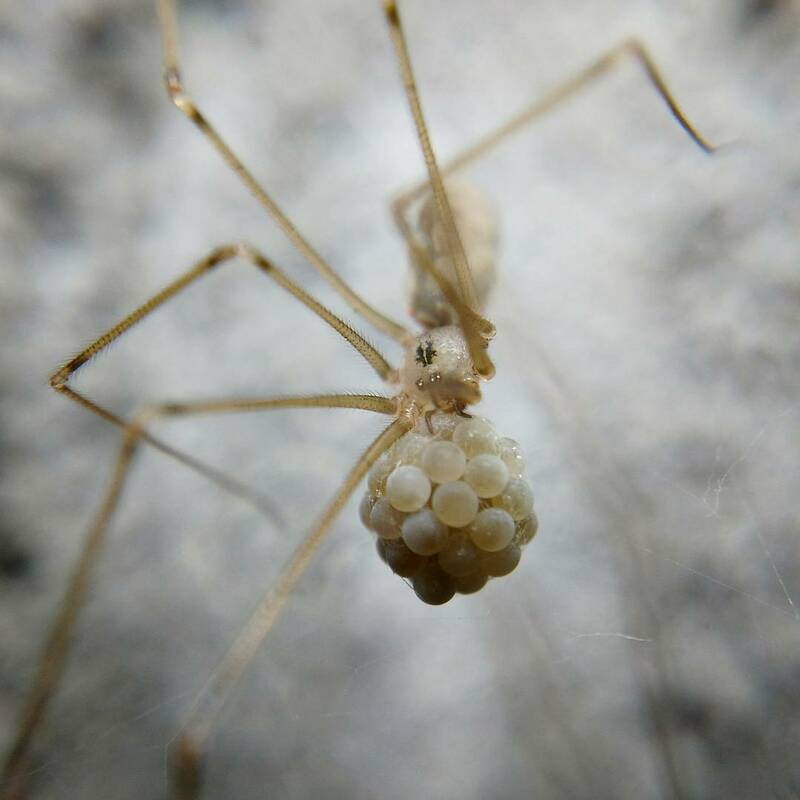 It’s a cellar spider (Pholcus phalangioides) carrying her ball of eggs in her jaws. I got to watch over several days as the eggs developed and then hatched. First the tiny spiderlings clung to their old eggs, making a little ball of spiders, and then they stayed for some time clustered near mama spider before wandering off on their own.